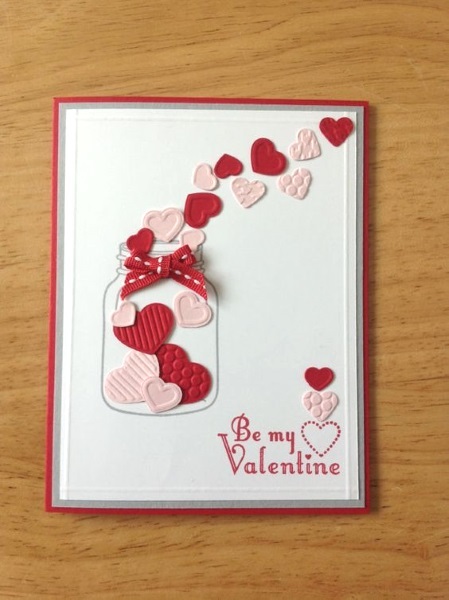 If you’re feeling sweet and creative this Valentine season with plenty of time to do something personalized, you might wanna try any of our Best Valentines Day Handmade Cards. 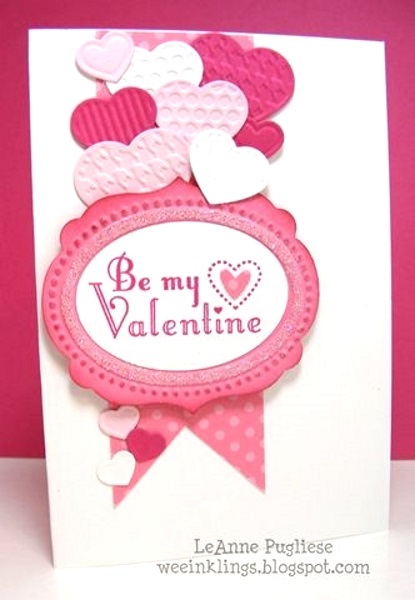 As this season is commercially promoted towards couples, be it married couples or those who are in a girlfriend and boyfriend relationship along with your flowers, chocolates and stuffed toys – be extra romantic and sentimental by writing a Valentines Day Card. 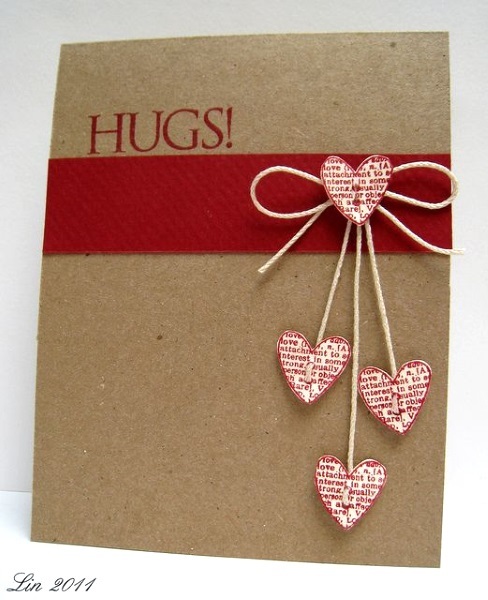 No matter how high-tech we are these days with too much e-cards to choose from online and the cards sold on the card shops, nothing beats the thought of handmade card. Done with love for someone who truly deserves love. 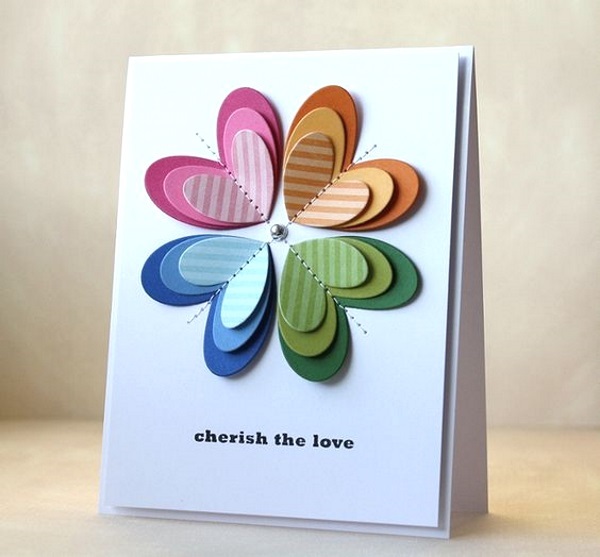 What’s good about DIY card, you can choose materials you would like to use. 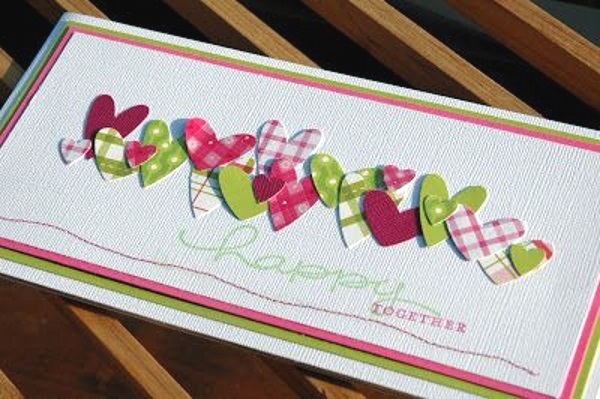 So it’s time to shop for card boards, patterned papers, pattern ribbons, shaped buttons, embellishments, glittered glues and more. 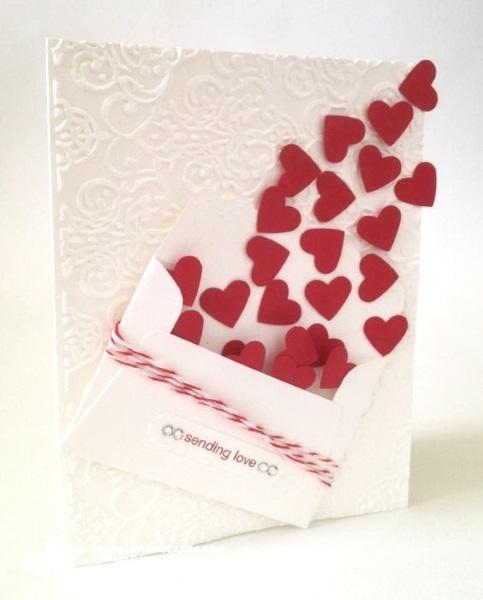 Adding your personal touch to this Valentine surprise would make it really priceless, for your efforts can never be measured and your special someone will love it to pieces! 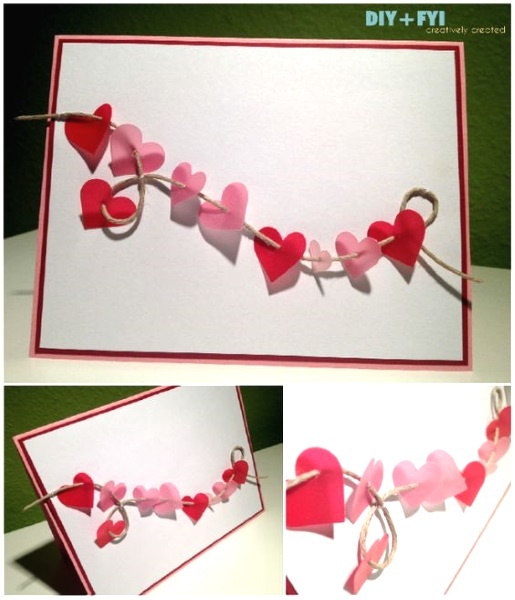 These are very simple, easy-to-do handmade cards for you to do or you could teach your kids to do. 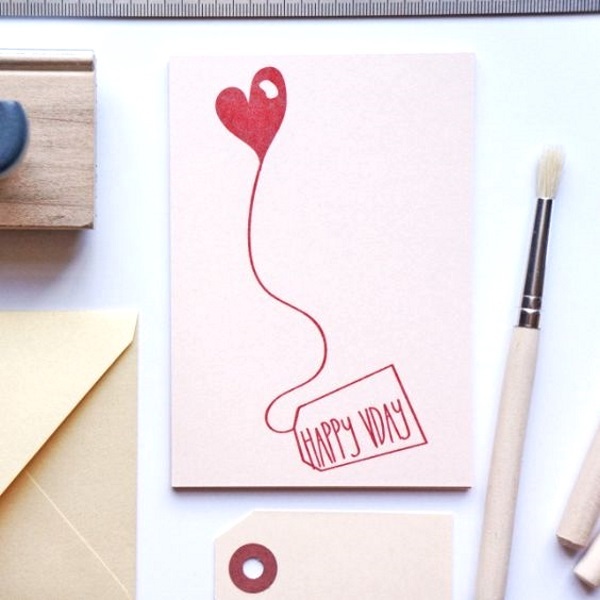 If you’re someone who wanted things plain yet special, these diy Valentine card ideas are for you. Remember, simplicity is beauty as always! 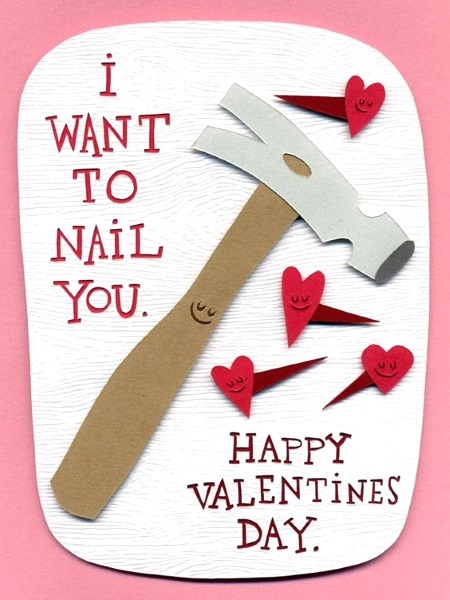 I may say this is one of my all-time-favorite Valentine card idea. Very smart and simple. 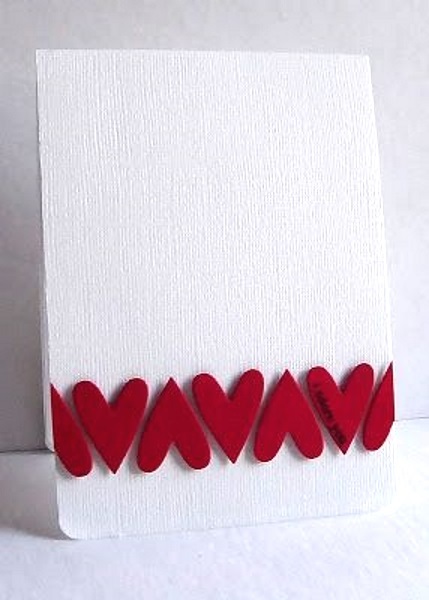 This is also ideal for a birthday handmade card, just change the colors of the candles and the flame designs. What do you think? 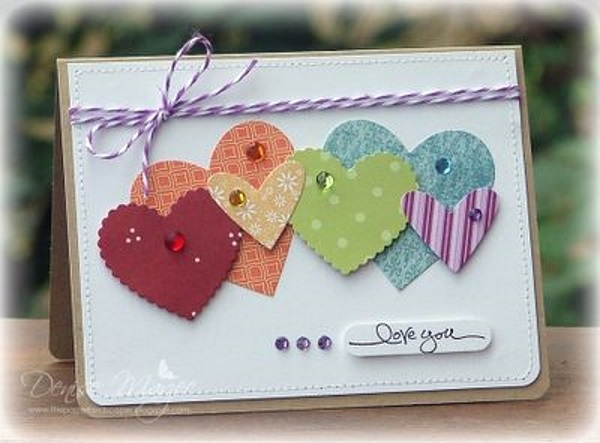 I love the effect of the stitches on the pelt paper hearts. 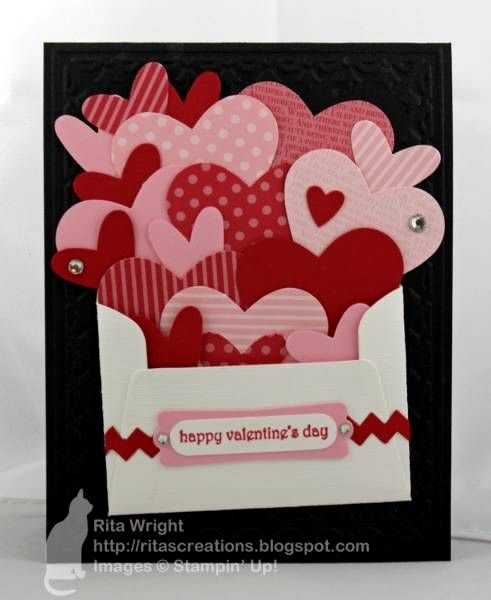 With that sweet Valentine greetings on that cute card, no doubt they compliment each other. 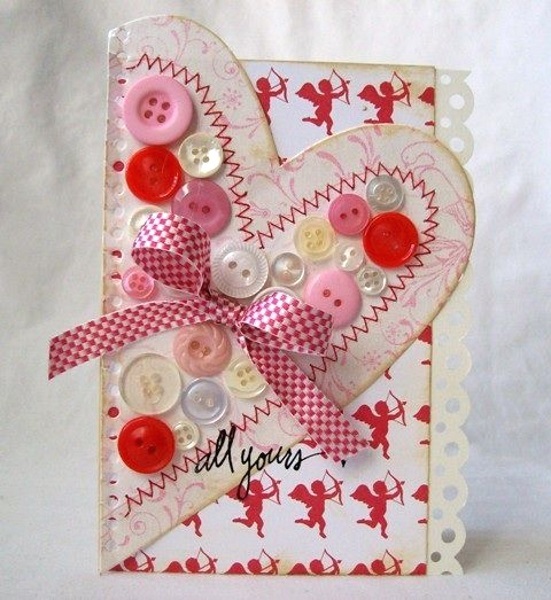 Embellished hearts that are glued on an alternate position is a wonderful idea. 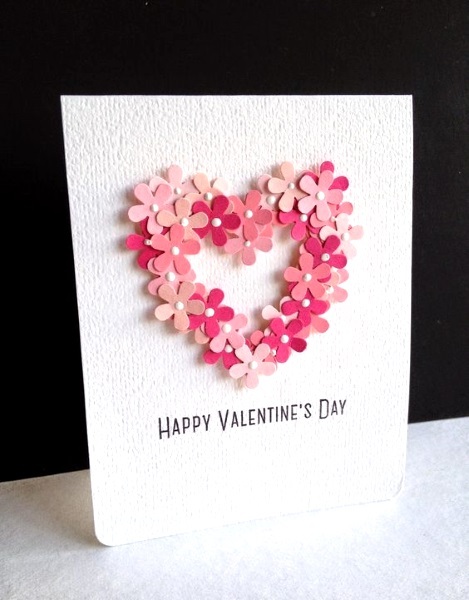 It’s up to you if you wanted to keep the card empty or should you write a “Happy Valentine’s Day” there. Who would have thought that a paper clip could add so much beauty? 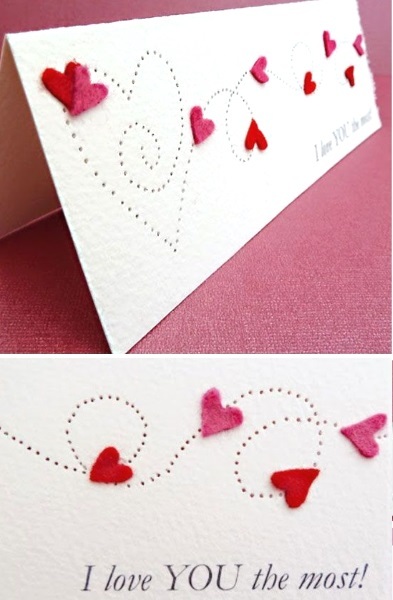 A brilliant idea, how it was formed into a heart shape letter “V”. This would be perfect for couples who are working in the same office. 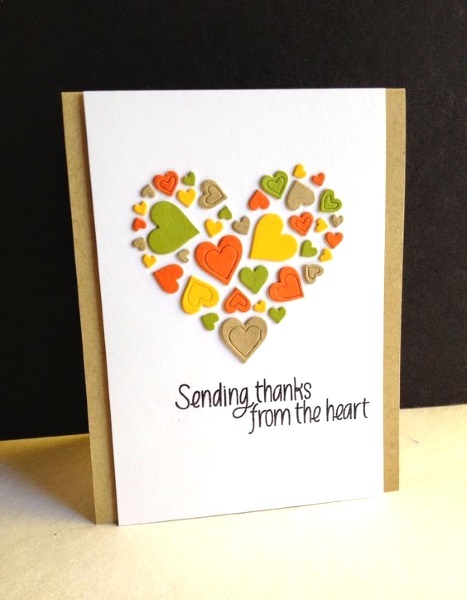 There are many ideas of sending hearts card. 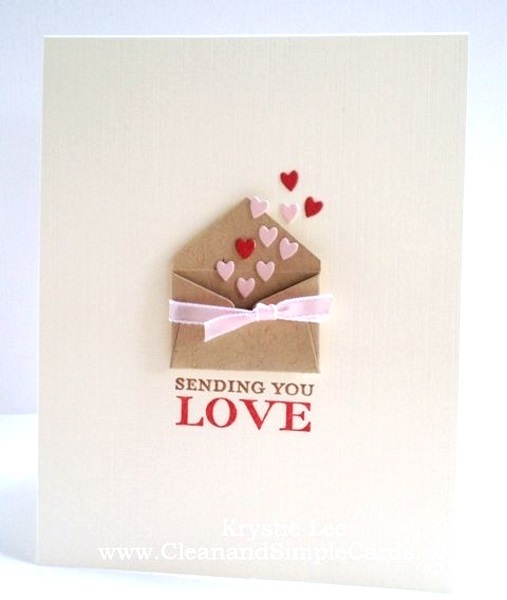 One is with this tiny envelope and those tiny hearts flying away. 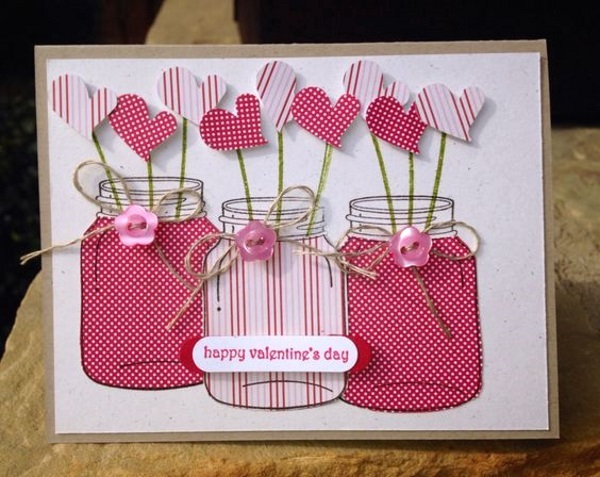 For those who are fan of country or rustic crafts, this is perfect for you. The combination of brown and red is too lovely, I might try it as well. The love month isn’t just all about red and pink. 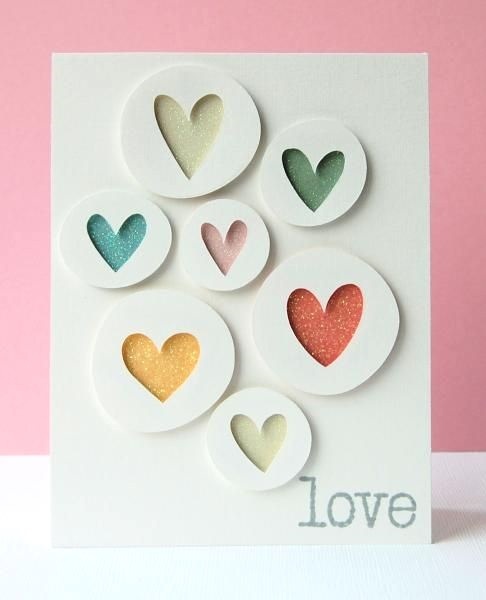 Do you know pastel colors can be creatively use for your Valentine crafts too? Just look at the sample below. Hearts of different colors and they all look so adorable right? Who doesn’t love surprises? 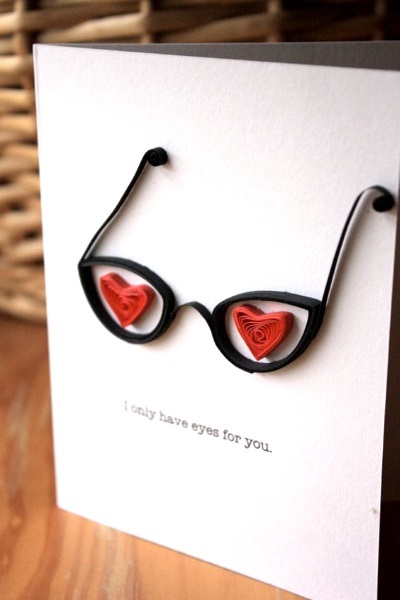 Your loved one would be so amazed how creative you are when you give him/her this card. 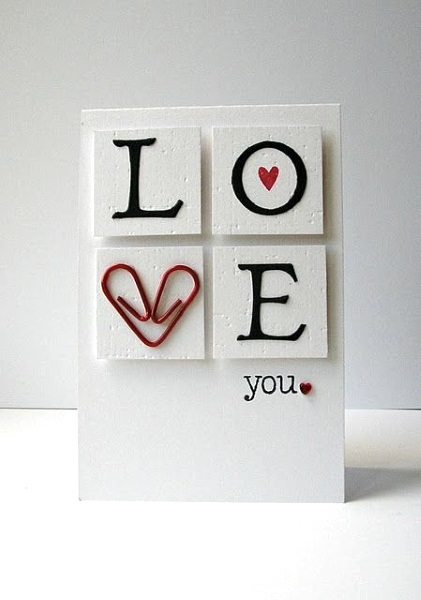 These cards are above simple, yet less than being complicated. 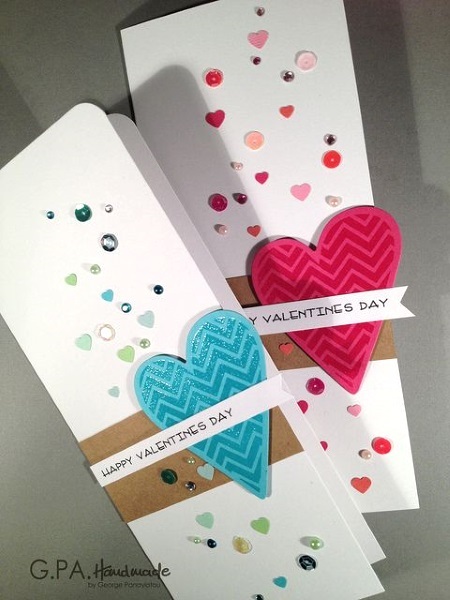 I categorized them as cute and rest assured that these DIY Valentine cards will drive you insane for being so pretty. You have hard time picking on which to do this year. 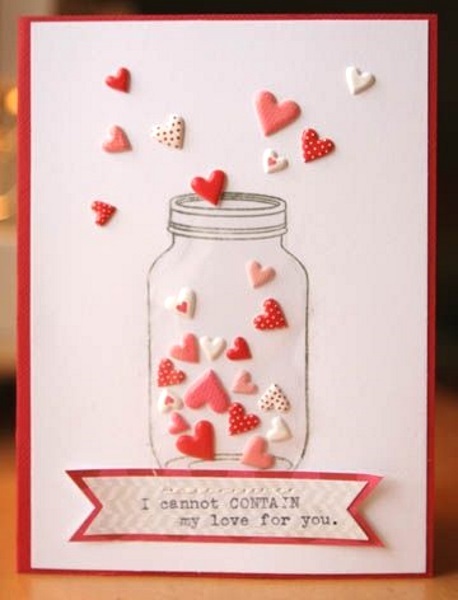 With it’s new and unique heart ideas, this card nailed it! 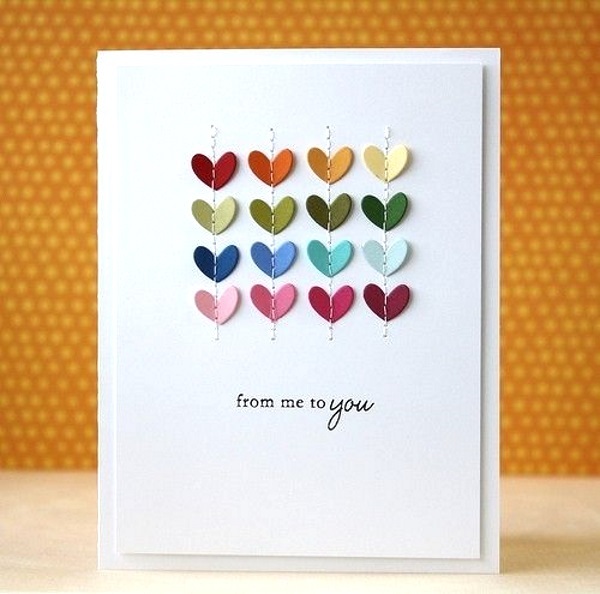 For those who love classic themes, this is the card that perfectly suits you. 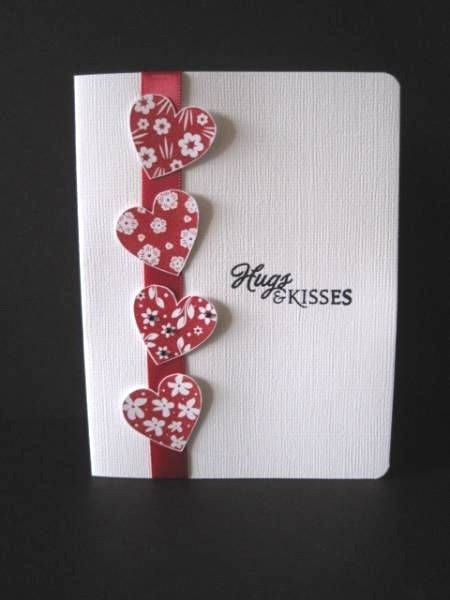 Planning to give lots of Valentines cards for friends, your cousins, siblings, office mates or students? 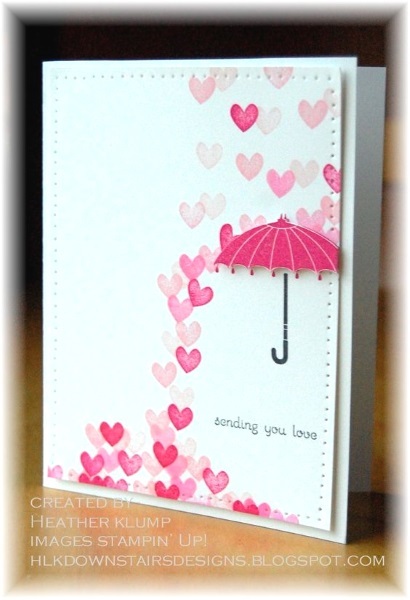 This card design is easy yet pretty. 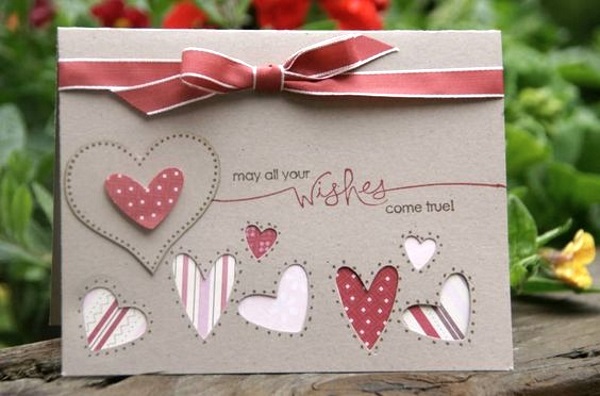 Send some love to special people! Valentine’s Day isn’t just about flowers and chocolates. 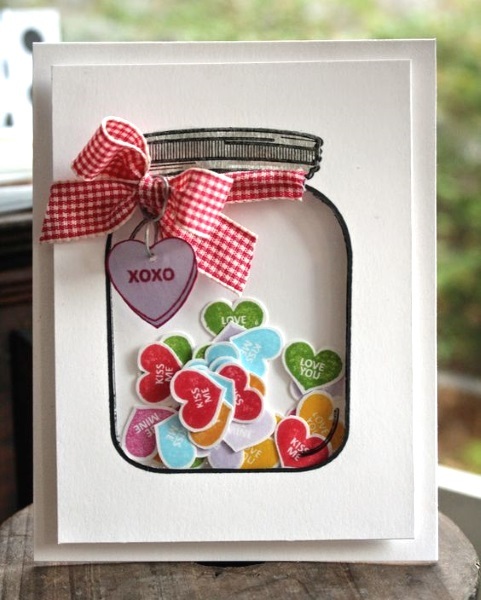 So here’s a jar of hearts greeting card. I would suggest, instead of those “kiss me”, “love you” and “hugs” phrase- try writing the best things you love about your partner. Like, “your eyes are my favorite” or “your smile is radiant”. This would so suit couples in a long distance relationship. 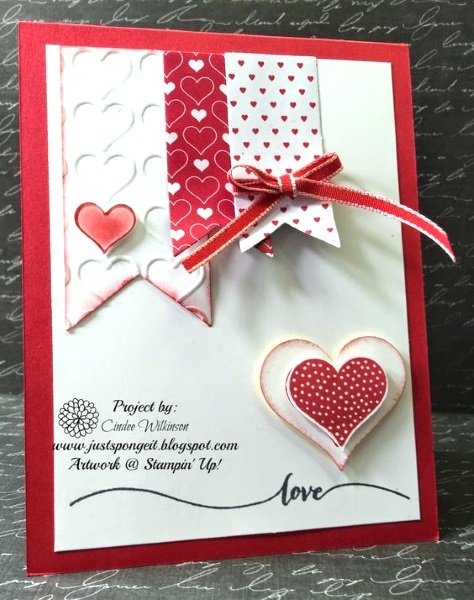 These are card ideas for those really dedicated crafty people who would dare to take the challenge of doing more complicated card designs. 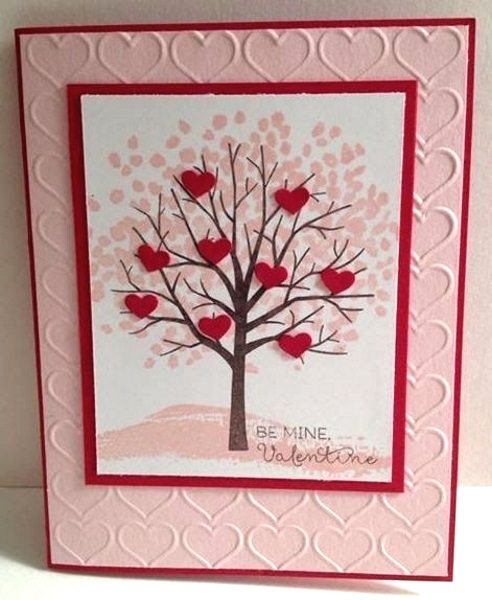 It would take enough patient and time to be able to create such unique Valentines Day card ideas. Are you on for the challenge? 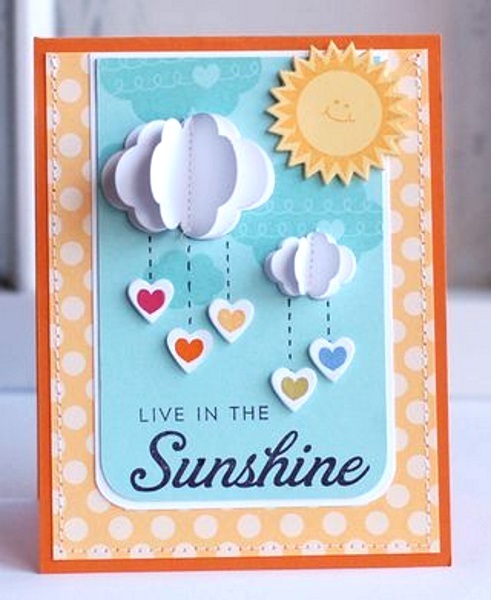 Here’s a lovely Sunshine Valentines Day Card. 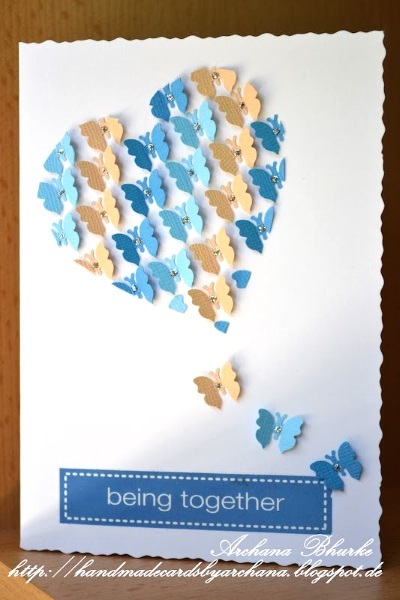 The very unusual use of yellow and blue for dominant colors of a Valentines card. 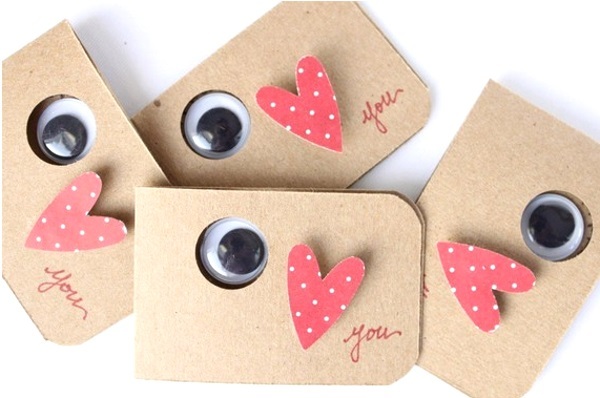 Look at those pretty spare buttons used for a DIY Valentines day card? Bringing our card adventure into the next level. 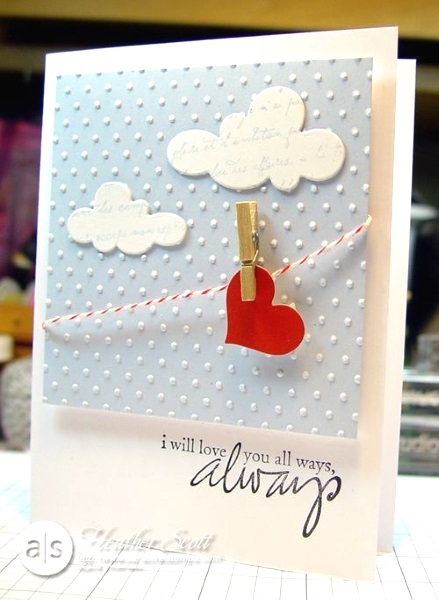 Here are card ideas that would surely blow you away. 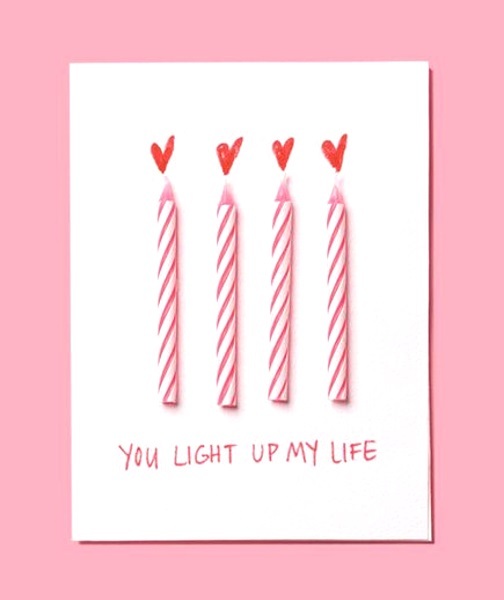 Change the heart to a cupcake or present if you wanna use this as a Birthday card. 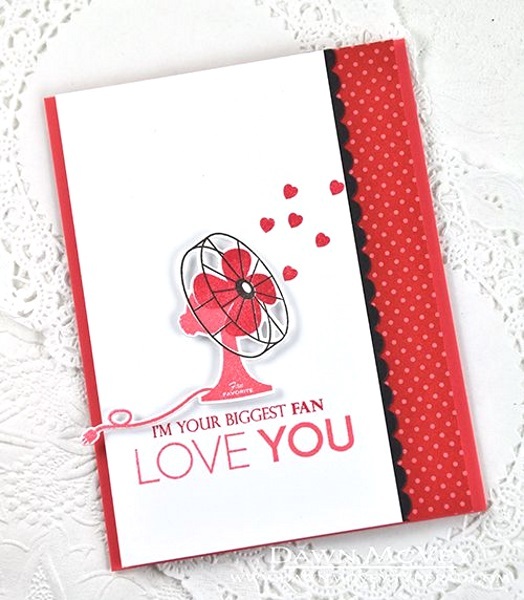 Show your loved ones how much you care with a DIY Valentine’s Day card made straight from the heart. 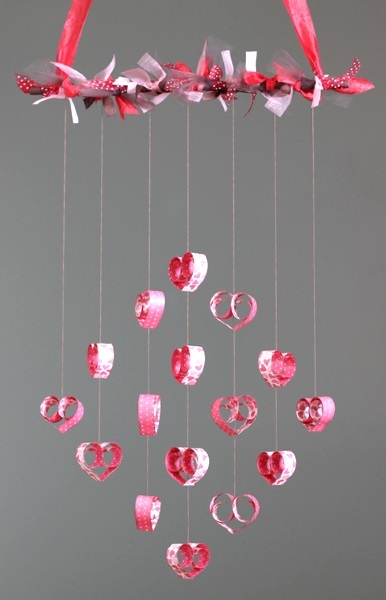 Beautiful small paper butterflies in a shape of a heart balloon so creative. 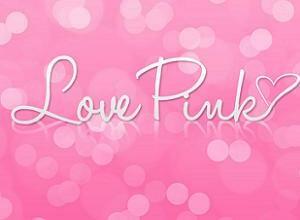 Told you, it isn’t just red and pink right? 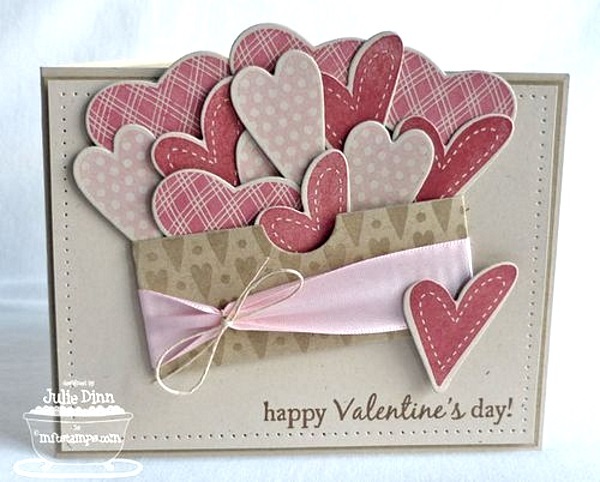 Heart punched patterned paper card. 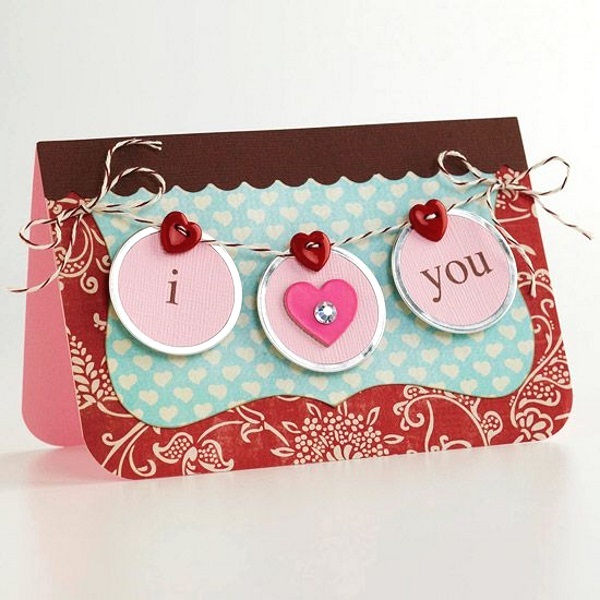 These are embellishments sold on scrapbook section of a department store and usually found on the office supplies. Go shop for heart rubber embellishments, of different shapes and colors. They’re very useful for a card like this. 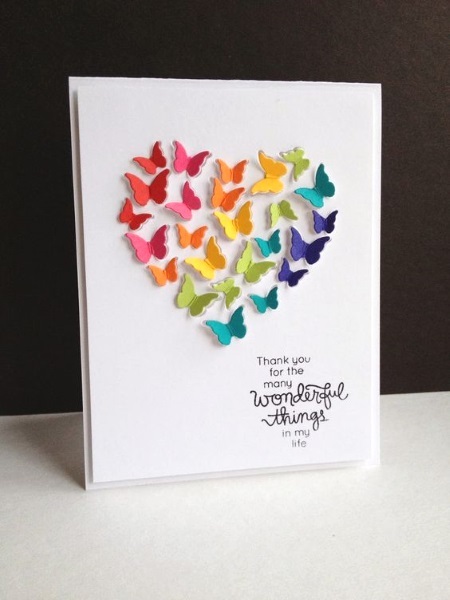 Or if you want it extra ordinary, instead of using hearts use butterflies! 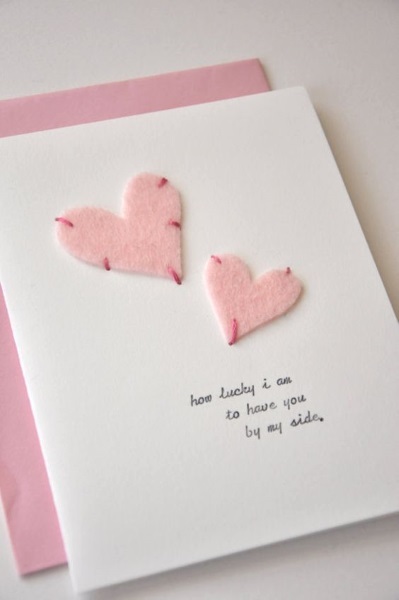 If you think you’ve seen it all, I should say not yet and you’re just about to browse the best DIY Valentines Card ideas (my taste) that might catch your attention too. 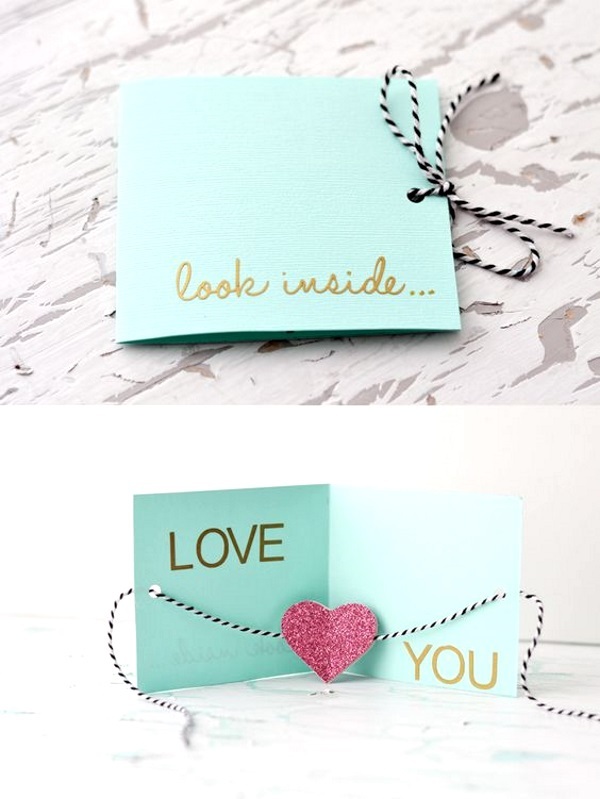 These are really romantic looking cards that the recipient would surely keep it and treasure it. 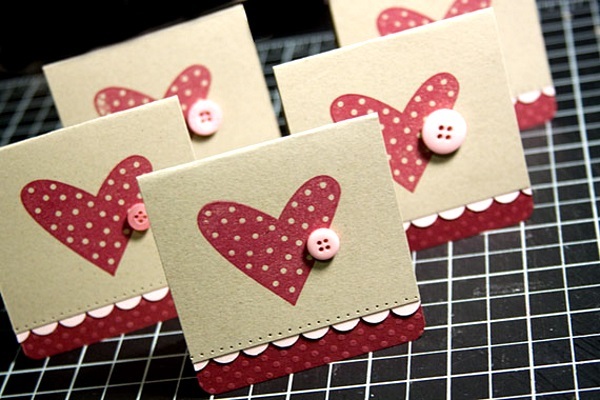 What a cute idea with embellishment brads that can be used for a variety of different styles. 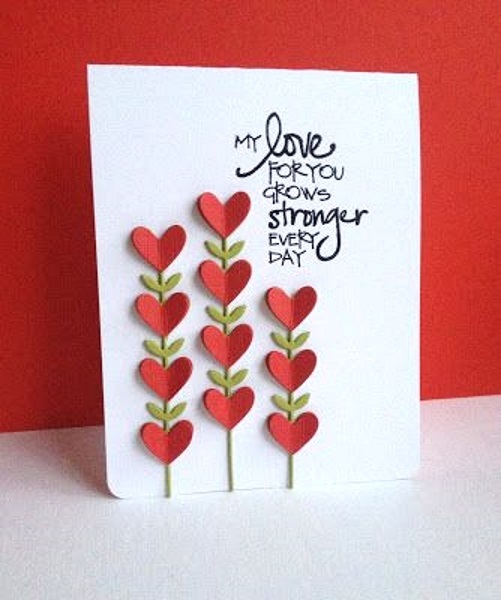 More lovely Valentines day cards..
For fun couples who share a lot of love and humor, here’s to you! 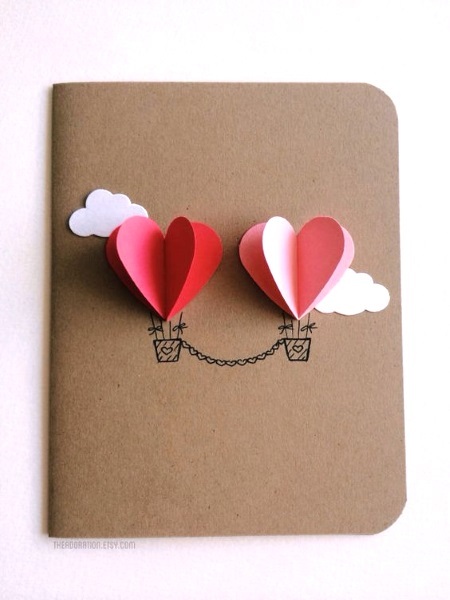 We just provided you the Best DIY Valentines Day Card ideas we came across online. To those who are in a relationship, I’m sure by now you already have the perfect card that would suit yours or your partner’s personality. For those who are single, it’s okay. You have lots of loved ones around you. 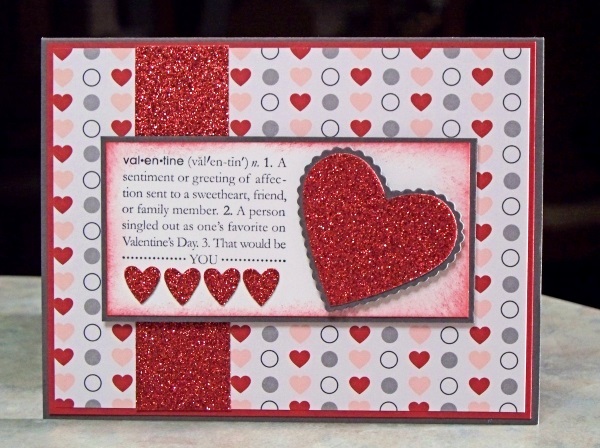 Go write a Valentines card for your family or friends. 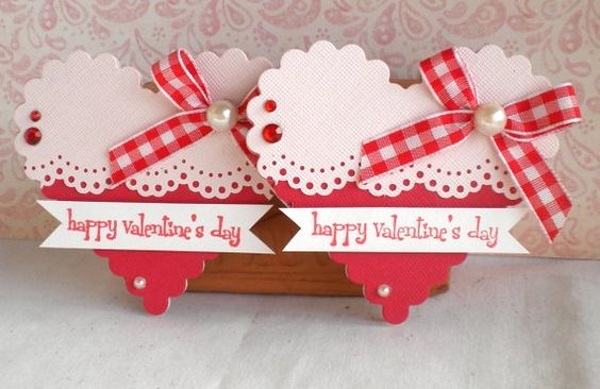 (I’m talking to myself, yes haha) Don’t forget to visit our Valentines Day Craft Ideas for Kids that they would surely love. Let’s make this love month a season of bonding and love! We would love to be shared on your Facebook, Twitter, Instagram, Pinterest or email us to your contacts. We would love to hear about your activities, so writes us on our comment section. 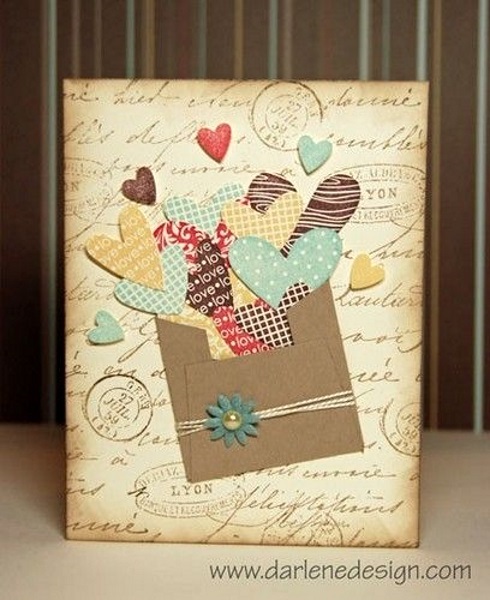 Enjoy crafting dear readers!